New school supplies are a necessity every semester. It can be hard to predict how much the supplies will cost especially when starting completely new classes. Fortunately, there is no need to spend a huge amount just to get everything on the school supply list. These five tricks will help anyone to be ahead of the game and spend less on school supplies this semester. Any used supplies left over from the previous semester should be reused or re-purposed if possible. The unused pages in several notebooks can be torn out and placed into a binder to create a new notebook. Folders can be reused even if they are covered in writing. You’re not made of money and these things don’t come as cheaply as you would think. Anything that still has value should be reused for the next semester. Most retailers offer bulk discounts when buying a large amount of the same item. Items like notebooks, pens and staples can be purchased in bulk and then used throughout the semester and possibly the next semester. Most stores provide discounts for every 10 or 12 of the same item purchased. This can save a significant amount especially when combined with other discounts. Make sure to keep an eye out for sweet deals like these. Bringing a smart phone can help to save money when shopping. Retailers sometimes have quick response codes in stores that provide instant coupons and discounts or price match capabilities. A few retailers will periodically send coupons to registered smart phones in the store. Smart phones also allow for comparison shopping without having to leave one retailer. The phone can be used to browse competing discounts to see whether a deal is worthwhile. This method is often overlooked but can save you tons of cash in a small amount of time. 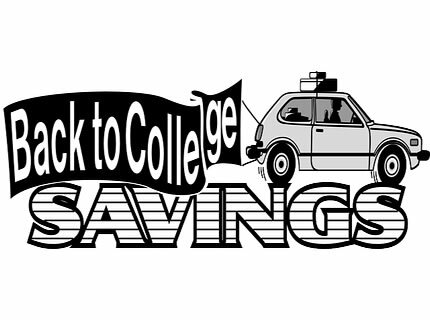 Shoppers should start checking ads or your local message boards as early as possible for discounts on school supplies. Some stores begin offering very deep discounts early in order to clear space for new inventory. Retailers might also have great deals on just one or two items. Checking early and consistently throughout the season leaves time for multiple trips in order to get every supply at the lowest price. Paying full or even marked up price is extremely foolish when you can easily get everything from your books to binders and pens at good prices if you simply go early. Some school supplies like microscopes or other science items are difficult and expensive to find locally. These items should be purchased online. There are a variety of supplies available online for far less than most local stores would charge. These online stores also usually have a very wide selection of school supplies that might not be available locally. A little extra work and research can go a long way before the semester starts. It is important to utilize every resource available when shopping for school supplies. Social media, smart phones and online retailers are all valuable ways to find the best deals possible. Meghan is a freelance writer from Oklahoma. She enjoys being in the outdoors and exploring new opportunities whenever they arise as well as researching new topics to expand her horizons. You can often find her buried in a good book or out looking for an adventure. Meghan highly recommends going online to find quality, discount microscopes for students.